It's suitable for elementary or intermediate learners to re-mind their vocabulary used in complementing someone's work. 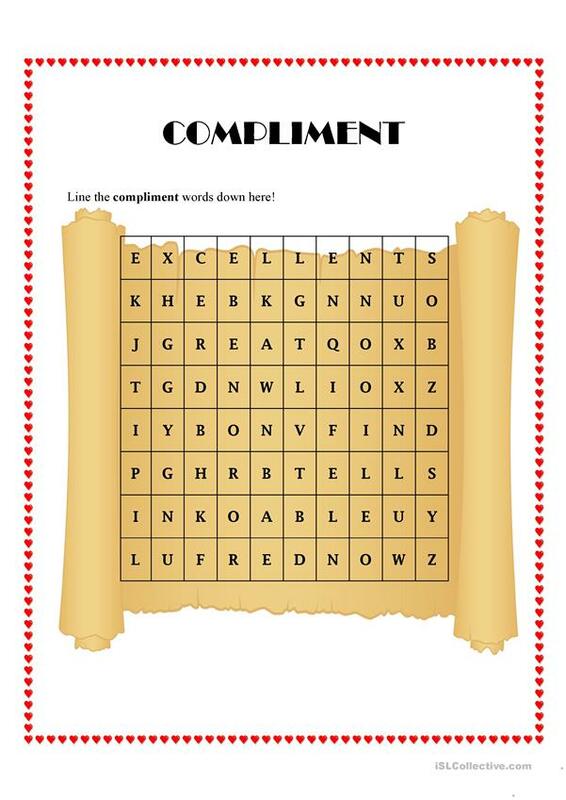 Learners should find some compliment words in jumbled letters there. The present downloadable handout is recommended for business/professional students, high school students and elementary school students at Beginner (pre-A1), Elementary (A1), Pre-intermediate (A2) and Intermediate (B1) level. It is aimed at consolidating Adjectives to describe feelings / mood / tone in English, and can be used for strengthening your pupils' Spelling and Reading skills. It centers around the theme of Daily routines.